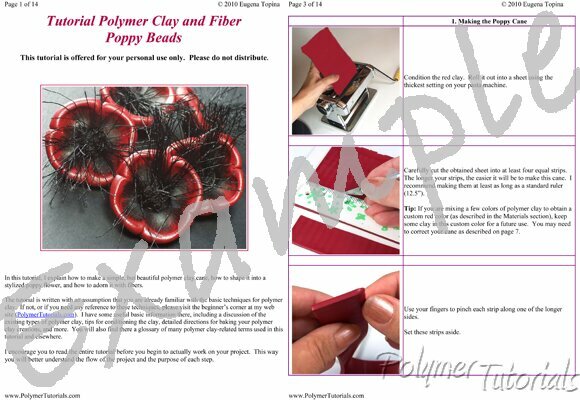 I hope you will enjoy this step-by-step polymer clay tutorial showing how to make beautiful poppy beads from polymer clay and fibers. All tools and materials are readily available and are not specific to this project (which means that you will be able to use them for many other polymer clay projects). This project is simple enough to be enjoyed by a novice clayer, yet fun and innovative enough for those who already have some experience. As always, the skills you will learn in this tutorial can be used for many various projects in the future. Unbelievably fast service! An excellent tutorial which is ea ..